Hat Tip: MSNBC TV [Ali Velshi] who recognized a great "monumental American" who recently died on Oct. 10, 2018, from Arkansas, Raye Montague. From Jim Cunningham via the Arkansas Democrat Gazette: "At the height of her career, she was briefing the Joint Chiefs of Staff every month and teaching at the United States Naval Academy in Annapolis, Md. Many of her ship designs are still in use." From the encyclopedia of Arkansas History and Culture: "Raye Jean Jordan Montague was an internationally registered professional engineer (RPE) with the U.S. Navy who is credited with the first computer-generated rough draft of a U.S. naval ship. The U.S. Navy’s first female program manager of ships (PMS-309), Information Systems Improvement Program, she held a civilian equivalent rank of captain. She was inducted into the Arkansas Black Hall of Fame in 2013 and the Arkansas Women's Hall of Fame in 2018." More from Arkansas History and Culture: "Montague’s career spanned the development of computer technologies, from the UNIVAC I, the world’s first commercially available computer, down to modern computers. She successfully revised the first automated system for selecting and printing ship specifications and produced the first draft for the FFG-7 frigate ( the Oliver Hazard Perry–class, or Perry-class, ship) in eighteen hours. This was the first ship designed by computer. In 1972, Montague was awarded the U.S. Navy’s Meritorious Civilian Service Award, the navy’s third-highest honorary award. She was the first female professional engineer to receive the Society of Manufacturing Engineers Achievement Award (1978) and the National Computer Graphics Association Award for the Advancement of Computer Graphics (1988). She also received a host of other honors from military branches, industry, and academia. Montague worked on the USS Dwight D. Eisenhower (CVN-69) and the navy’s first landing craft helicopter-assault ship (LHA). The last project with which she was affiliated was the Seawolf-class submarine (SSN-21). Montague retired in 1990. 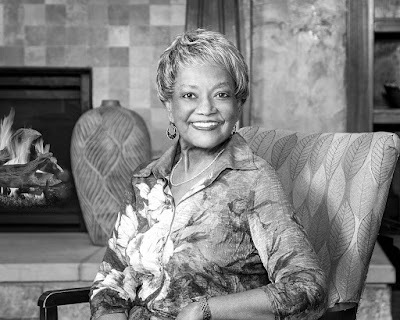 In 2006, after fifty years spent in the metropolitan Washington DC area, she returned to Arkansas, living in west Little Rock, where she remained active with Life Quest." From the Seattle Times: Raye Montague, A Navy "Hidden Figure" Ship Designer, dies at 83: "Montague was given one month to design a ship. She did it in 18 hours and 26 minutes." Wow! Raye Jean Jordan Montague died on Oct. 10, 2018 from congestive heart failure.